Some of Cayman’s top performers took to the stage Saturday to help raise money for the National Council of Voluntary Organisations. A host of entertainers strummed, sang and danced as the pledges rolled in at the 39th annual radio/telethon fundraiser. By the end of the night, just over $117,000 had been raised to help fund the NCVO’s various programs, including the Nadine Andreas Residential Foster Home. The total was short of the $140,000 target and the organization is hoping the pledges will continue to come in over the next few days and weeks. “Just because the night of the telethon is over, that doesn’t mean we stop,” said Angela Sealey, who is in her first year as CEO of the organization. The charity campaign attracted hundreds of donors from individuals pledging $10 or $20 to corporations who handed over large checks of $5,000 and $10,000. “This society is still a giving one and we do appreciate everyone who gave not just their money but their time and their efforts,” Ms. Sealey said. 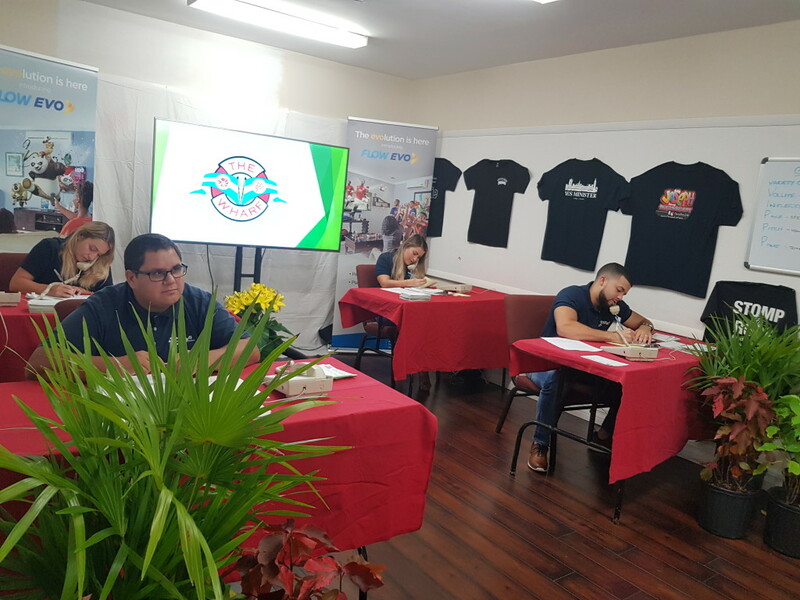 The night was broadcast by both Radio Cayman and Cayman 27 and hosted by a variety of news anchors from both channels, while sponsor Flow had staff manning the phones as people called in to donate. Some of the presenters even got involved in the entertainment. Cayman 27’s Seaford Russell Jr. joined dancer Quiana Erb on stage to show off some dance moves. There was also entertainment from local performers including Little Magic, Dario Rivers, Beniel Miller, and Kate and Melody Allenger. NCVO Coordinator Mona Meade said the event would be impossible without such strong community support. She said the Cayman Drama Society, theater manager Paul de Freitas, Kiwanis member Ruud van der Pluijm and Eden Hurlston, of OneWorld Productions, were among the many volunteers who helped make the night a success. As well as the foster home, money donated will go to the NCVO’s various programs including Miss Nadine’s Pre-School, the Jack and Jill Nursery, the Caring Cousins lunch support program and the NCVO scholarship. Ms. Sealey said the organization also hoped to raise funds for the children in its foster home to take part in extracurricular activities. She said there was one boy in the home who was part of a football program and another had been selected to travel to Dubai as part of a Cayman swimming team, and funds were needed to make it possible. Donations can still be made by contacting the NCVO at 949-2124 or through www.caymangiftcertificates.com.